can any1 tell me why it happens that after i do or receive a call the phone freezes!!!!! did any1 have had this problem??? al ovr..its jst nt up to d mrk..evry lil thng has to b dwnloades frm d mrket..!! nt complicatd bt a bit problmatic fne..! does it have a flash in its camera? i'm already updated my x8! awesome! 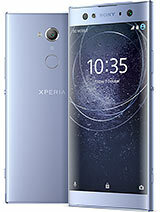 I think the Xperia X8 is a good phone. I bought it a few months ago, and I cannot understand why there are so many bad reviews about it. Maybe people just HAVE to moan i guess. If you want a cheap smart phone that does what a smartphone is supposed to do, I personally would recommend this. I like the shape of it too, it's lightweight and the screen is super smooth and repsonsive. It sometimes crashes, but all smart phones do. Also, the sound quality is brilliant, so if you like your music, then again that's one up for this phone. Touch Sensitivity is good & responsive compared with other models. Design & Specifications of X8 is really nice. Not able to update to the latest version of android. Camera Quality is not that much good. Cant install/move applications to Memory Card. Screen Resolutions is very good compared with other models. howz the sound quality of the x8 & in earphone also? which is better between x8 & w8? & why?